Menno & Janneke’s travel resources for beginners, by beginners. 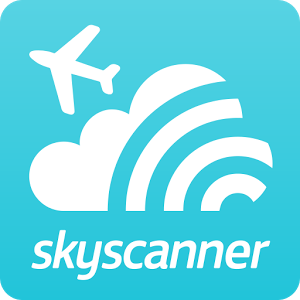 Skyscanner app-Compare prices, flights dates & times, routes & stopovers of all the major carriers. 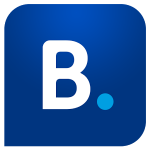 We found this to be a useful app to browse with before going to our travel agent to make final bookings. One can book directly from the app, but being slightly “old school”, we preferred using it to familiarize us of all the flights & options available & then make the actual booking though the travel agent. 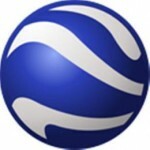 Google Earth for PC or laptop– A great way to view the country that you are going to, or area where you are located, from an aerial perspective. We found it useful to give us a feeling of scale, distance and generally helped us orientate ourselves once we had settled into our accommodation & plucked out the laptop. Nice features like being able to zoom in & out and actually see what areas look like, as well as photographs & places of interest on the interactive landscape. Google Maps app– Together with paper maps which are always handy to grab when you get into a town or area, this is an invaluable app to have on your cellular phone when dropped of in a strange place, with foreign unreadable signage and people who do not speak your language. The app does not needed a data connection & uses offline maps. The phone’s GPS does need to be enabled so that it can locate your position. So if you know where you are on the map, you can see where you need to go. 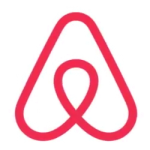 Airbnb app– Similar to the Booking.com app in functionality. The main difference is that Airbnb includes all kinds of properties, apartments, rooms, boats, camper vans & whatever the members regard as accommodation. Many are privately owned. Sometimes a home owner shares the property as host. Hosts, as well as travelers’s review their experiences online and these reviews are available for other members to view. We have not used this yet, but hope to do so on our next trip & we are currently also in the process of creating our own Airbnb at home for future rental to travelers. 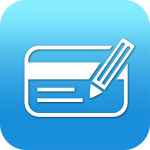 Expense Manager– A useful, simple app, to keep track and categorize spending while on the road. You can set the currency, create categories & subcategories and enter figures as you spend. You can enter a daily, weekly or monthly budget, check out spending with graphs of categories & download data to a laptop or via emailed Excel sheets. Easy to use. I (Menno) actually found that by using it, I soon developed a much better grasp on the foreign currency we were spending in. I now even use it back home. 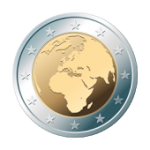 Exchange Rates app– Getting to grips with a foreign currency is at best confusing as one always tries to convert back to your home currency. Without an easy converter, one often makes quick calculations incorrectly. I found it especially useful when negotiating price on items. The few seconds taken to quickly convert figures is enough time to gather your thoughts, rather than to be trying to calculate where you’re at in the negotiation process. 🙂 Choose which currencies are favorites. When used offline, it simply uses last known conversion rates & when online, uses real time updates. 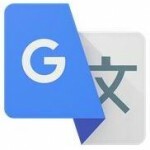 Google Translate app– Sometimes we found that we simply could not get our message or question to be understood. When no amount of sign language helps, this is a great tool to use. Just grab your phone and type in the phrase, question or statement you want to get communicated. It will translate if from the language you are writing in to whatever language you choose. In our case this useful little app, helped us convert many a blank look of despair, to a helpful Thai smile and acknowledgement of what we wanted to know, saving much frustration & misunderstanding. 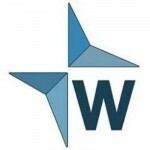 Wiki Travel weblink– We found Wiki Travel really useful to read while we were en-route to each place we visited. Wiki Travel has categories like “how to get there, where to stay, where to eat” and lots of other useful information. Over and above this usual information, we often found very specific tips such as scams to avoid at specific arrival points, foreign phrases that may be useful when at a specific station, or how to find a specific mode of transport and which routes they run. Good for brushing up last minute tips while en-route.